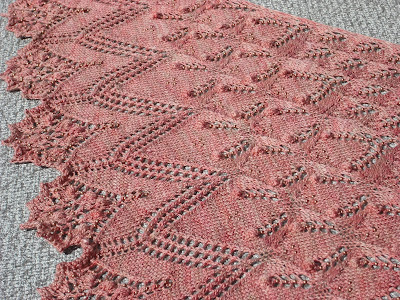 Here are a few photos of my blocked Aeolian Shawl. 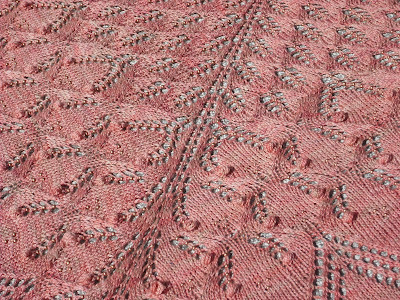 Definitely worth all the frogging and reknitting. We spent yesterday scrubbing the winter grime off our deck and outdoor furniture. 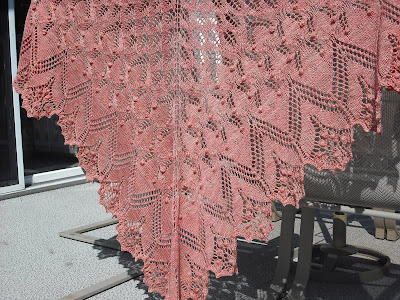 It was even warm enough to sit outside afterwards in capris and a t-shirt--what a treat! We are supposed to have a few more days like that then it's back to rain so I plan to enjoy the sunshine while I can. 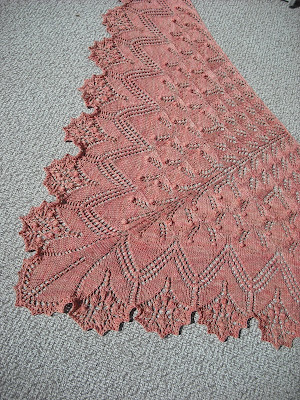 You did a beatiful job on the shawl! 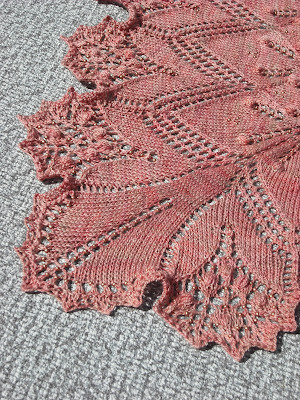 I am so envious of all the shawl knitters out there.